Are you looking for job integration assistance? No matter what stage of your journey you’re on, we’re here to guide and get you on the right track. Our youth services can put you on the right path. We can help you stay motivated and provide you with all the tools you may need to bring your ideas to life. Are your services relevant to me? 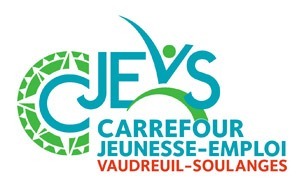 Our services are available to all young people between the ages of 15 and 35, living in the Vaudreuil-Soulanges region. If you fit this category, our services are made for you! If not, please get in touch and we will gladly refer you to the best available resource for your needs. Our services are free! Whatever your situation may be, the CJEVS is here to help. What happens at the Carrefour? Come in for a visit; you can also call or email to make an appointment with a counselor and he or she will propose tools that are adapted to your needs! Whether for a short consultation, someone to assist with your choices, or for long-term support, we will guide you towards the right path. Need help immediately? Stop in without an appointment, we will find solutions together! Can you help me outline my Résumé? Of course, we can! We can assist in preparing and editing of your résumé and we offer various customized formats. We also have many other services, such as professional workplace integration, career choice research and validation, and skills development. Your résumé will be professional and detailed! In person, by email, phone or via our Facebook page, by clicking on the appropriate button below!